With the imminent arrival of BS-VI emission norms in 2020, all carmakers are gradually expected to announce such deadlines for ending the production of BSIV-compliant models in the country. As the deadline to implement BS-VI emission norms across the country inches closer, carmakers in the country now seem to be scrambling in order to decide when to stop the production of the existing BS-IV compliant models. 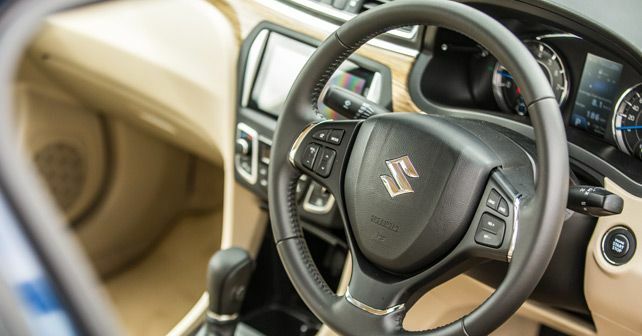 Amidst the front-runners, Maruti Suzuki has emerged as one of the first carmakers to announce an official deadline, which has been set for December 2019. However, the company has still not put out any official word regarding the production and sales of its forthcoming BS-VI line-up. While the brouhaha over this transition goes on, one point of concern seems to have caught the attention of carmakers and car buyers alike, which is the significant price hike of the BS-VI models. While petrol car buyers won't be affected much as the price increase is expected to be more or less around the ₹ 50k mark, it's the diesel aficionados like me who will bear the brunt as the price increase for corresponding diesel models is already estimated to be around ₹ 2.5 lakh. A key reason behind this price gap is the direct jump from for BS-IV to BS-VI, which will require all existing diesel powertrains to be fitted with a DPF (Diesel Particulate Filter) as well as an SCC (Selective Catalytic Converter). Since BS-VI emission norms put a cap on both PM (particulate matter) and NOx (Nitrogen Oxide) levels, the cars will need all the equipment in one go, consequently pushing up the costs. Had the transition been gradual (from BS-IV to BS-V), the cost increase would not have been so steep. Amid the projected price hike of future diesel models and uncertainty surrounding the demand of diesel cars in the future, Maruti Suzuki has also expressed its interest in expanding the CNG model line-up, keeping in mind that the demand for CNG models has risen by nearly 50 per cent in the past few months.